Inspired by Ecc. 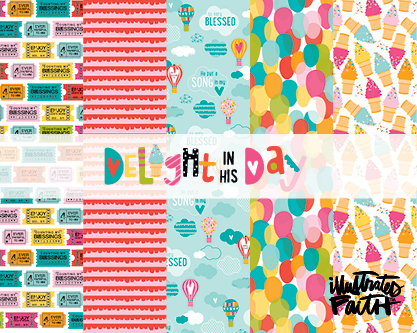 8:15 and influenced by contributor Elaine Davis, Delight in His Day is a bright and colorful collection basking in all the sweetness He provides. Celebrate being alive in the Lord’s strength and soak up His sunshine with the pure, childlike joy of this sweet collection.